MY ANSWER: OOoh I agree that Anna Dressed in Blood is a great Halloween read! It was a creepy number, one that I really liked! 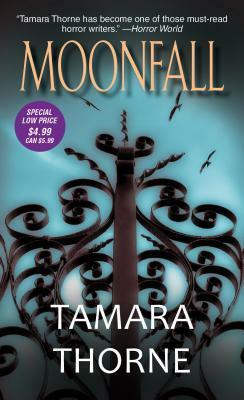 Some old school classics from the 90s by Tamara Thorne that were uber creepy though were Haunted and Moonfall! Those had an eerie theme and storyline going that left me chilled years ago when I read them! Ooooo!! Some great choices here. I haven't read any of them but the covers alone are spooky enough. 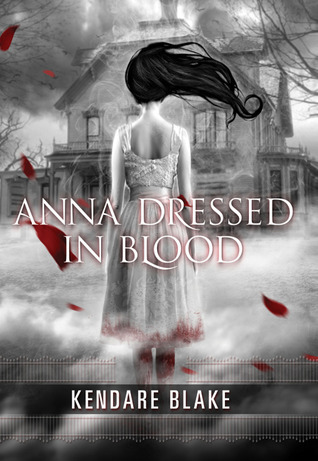 UUGGHH, I need to read Anna Dressed in Blood sooooo bad. All these people are choosing this book and it makes it even more intriguing. Thanks for stopping by. Old follower. I really liked Anna too and agree it would make a good, action packed, ghostly movie. I've head this a lot tonight! I seriously need to push it up on my read list! Anna has showed up on a lot of peoples post today..the other two I haven't heard of but they look cool! I am amazed at how popular this Anna book is!! Definitely agree with Anna. I haven't read the others but they look pretty good for a Halloween movie as well. 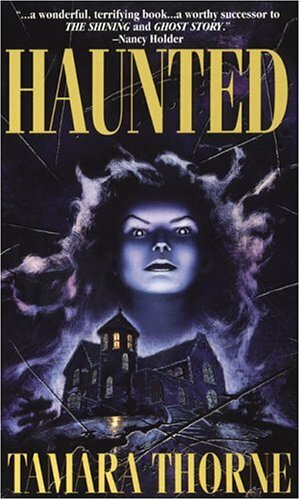 Everybody is picking Anna, so that means I must read it this Halloween :D Based on the blurb, I could see this as a movie. Anna Dressed in Blood has been on my list to check out! Thanks for stopping by!! Thanks for stopping by my Friday Hops! I've seen Anna Dressed in Blood a few times today, definitely moving it up in my TBR pile in time for Halloween. LOL Anna IS everywhere on FF this week. I think I'm just going to give in and buy it today! I have it as a giveaway on my blog too =). Great choice! New follower via GFC. It would make a fantastic film! I really hope Anna makes it to the big screen! thanks for stopping by. Great picks! I chose Anna as well :) Thanks for stopping by my blog, old follower! Haven't read or heard of the Tamara Thorne books, but they definitely look spooky! Thanks for stopping by mine last week!